Come join us for familiar Christmas readings, beloved Christmas carols, and a special message from Pastor K who returns to St. Andrew's to preach this holy day. Please invite family, friends, and long time St. Andrew's members for this special hour together. A more informal worship experience with familiar Christmas carols and many St. Andrew's children participating in the leadership of worship. 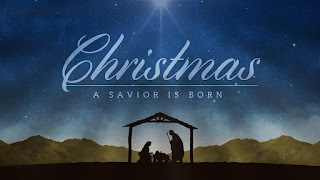 This experience is great for families with younger children (including a glow stick "candlelighting"), those of you who need to get home to prepare dinner, parties, and family gatherings, and those of you who are young at heart who will have your hearts stirred as we bring the innocent and wise together to praise the new born king. Traditional Christmas Eve worship with familiar carols, special music from our choirs, soloists, and instrumentalists, the proclamation of the birth of our Lord, the celebration of Communion, and gathering with lit candles for the singing of Silent Night. This is a night of reunion for many St. Andrew's families and an opportunity to bring welcome and blessing to many guests, some who are coming through our doors for the very first time. Be sure to invite family members, friends, co-workers, or neighbors to join you for worship. Come join us as we give thanks to God for the greatest gift of all, the life of his Son among us. Please keep in mind that there will be Christmas music before each of these services. Come a little early to secure the seating of your choice and enjoy music of the season. Celebrate Christ's birth in a simpler celebration around familiar readings and carols. If we missed one of your favorites on Christmas Eve, there is a good chance that we will sing it on this day. Our regular weekend schedule resumes on Saturday January 6 @ 5 PM and Sunday January 7 (Baptism of Our Lord) with worship at 8:15 and 11 AM, Christian Education at 9:30 AM. On behalf of our staff and Church Council, I wish all of you a truly blessed Christmas and a hope filled New Year.